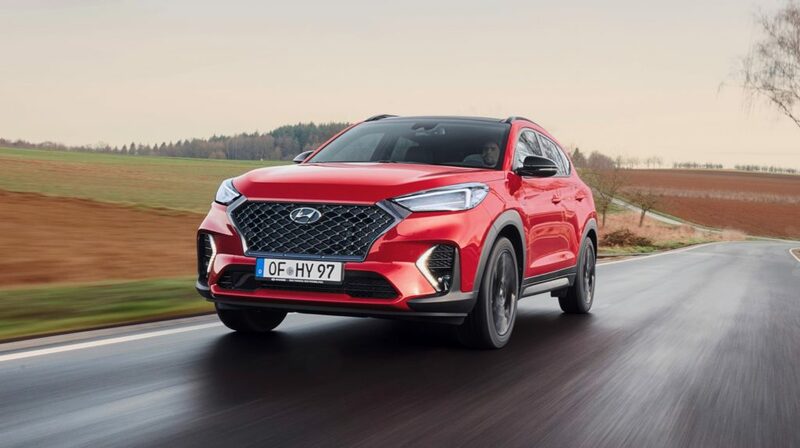 Hyundai is giving the Tucson a bit more sport with the introduction of the Tucson N Line, which is the first SUV to get the N Line treatment. 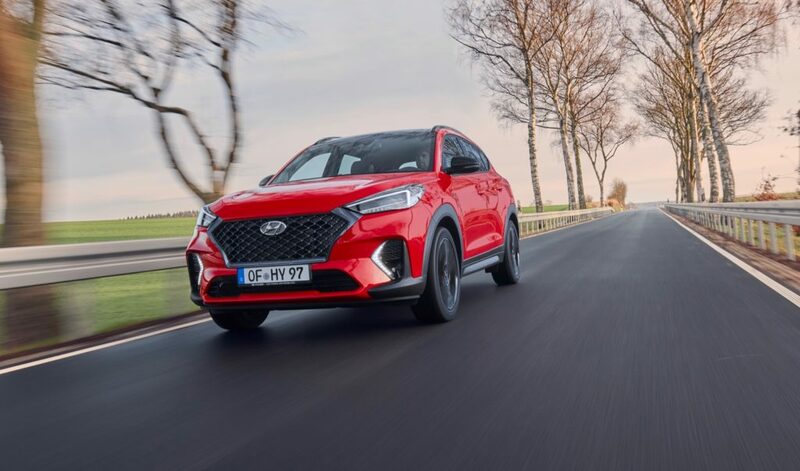 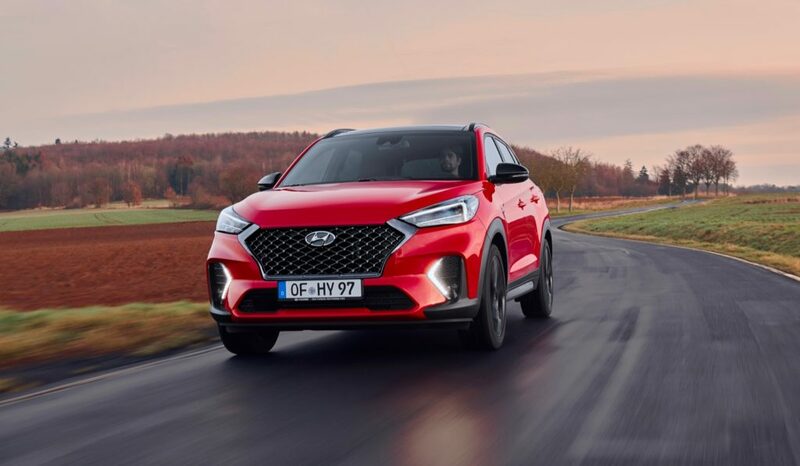 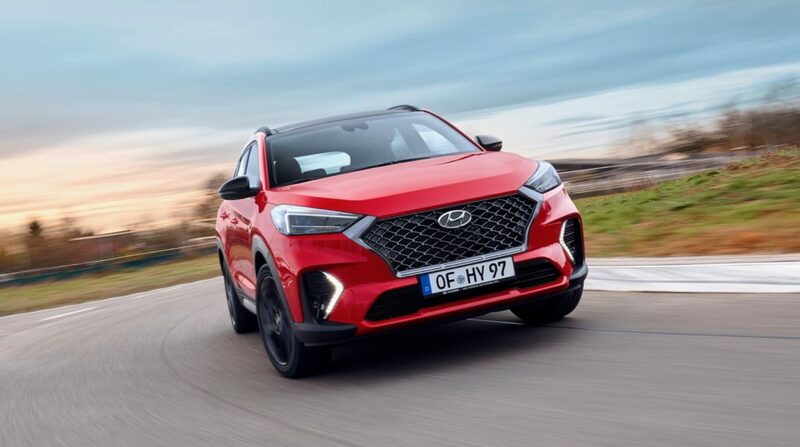 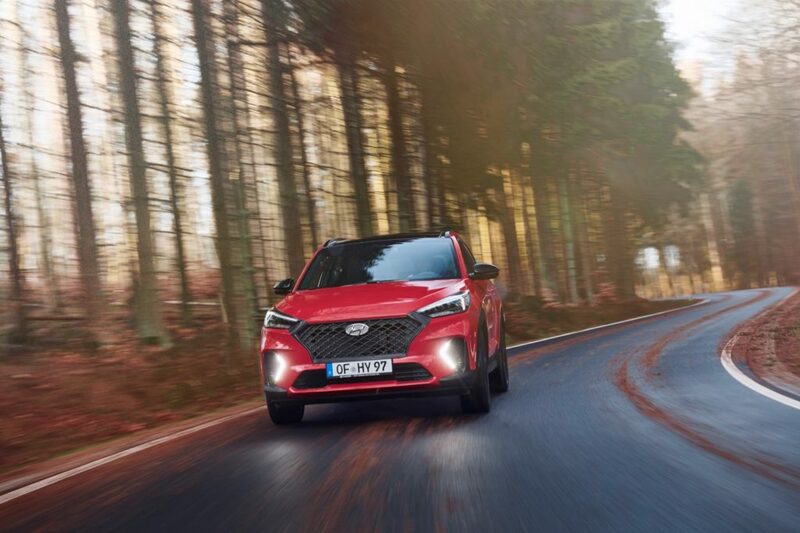 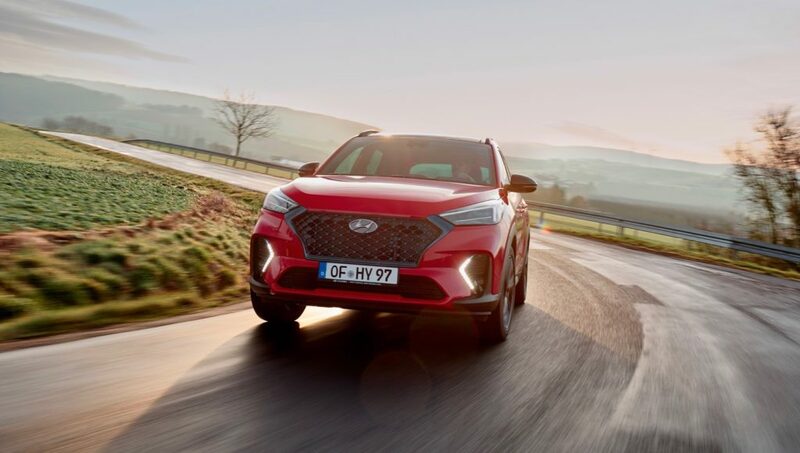 The Hyundai Tucson N Line is adds more than just a few styling upgrades, since its steering and suspension have also been tweaked a bit to make it a little more fun to drive. 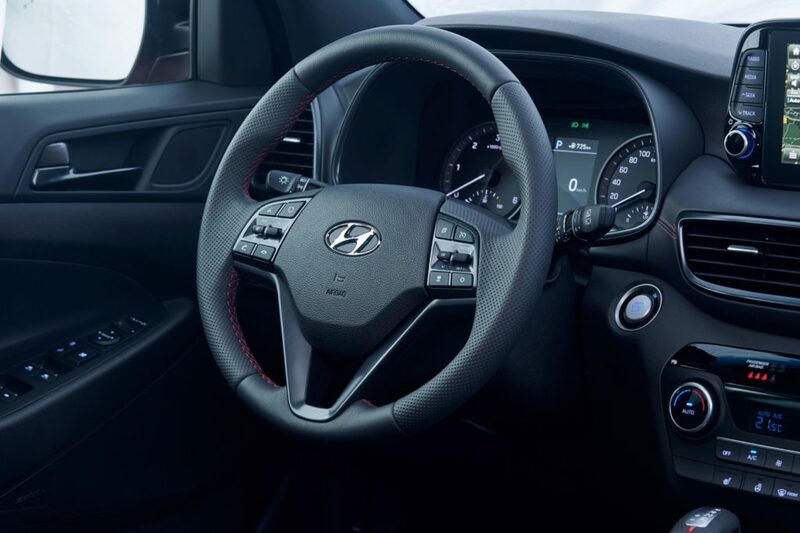 The springs are eight percent stiffer in the front and five percent stiffer in the rear, plus there are some software changes in the steering to make it feel more direct. 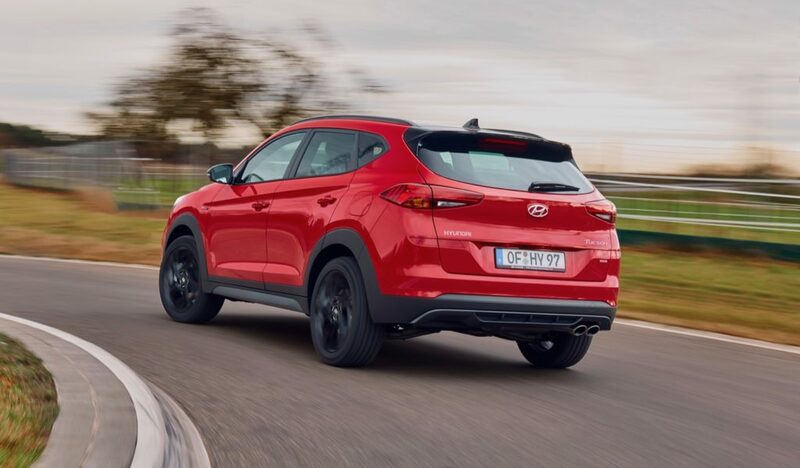 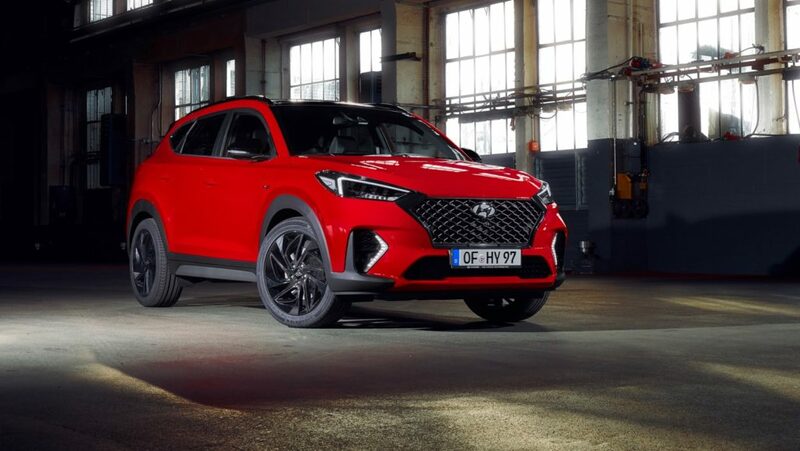 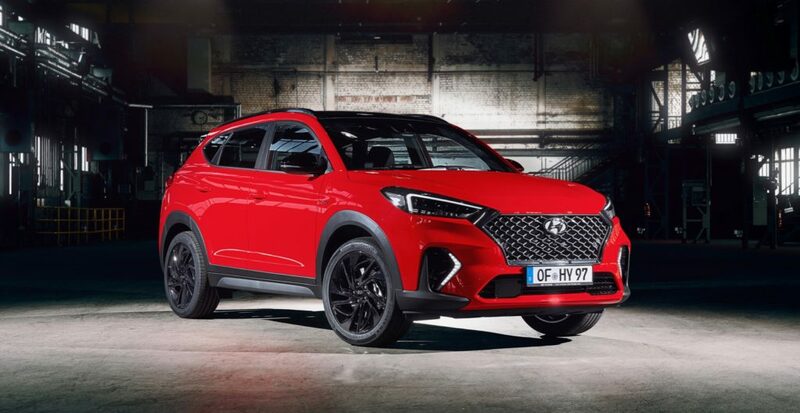 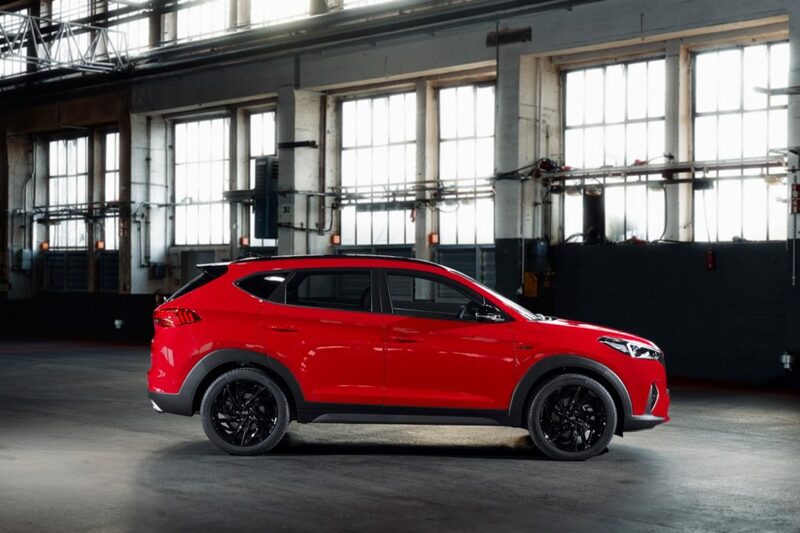 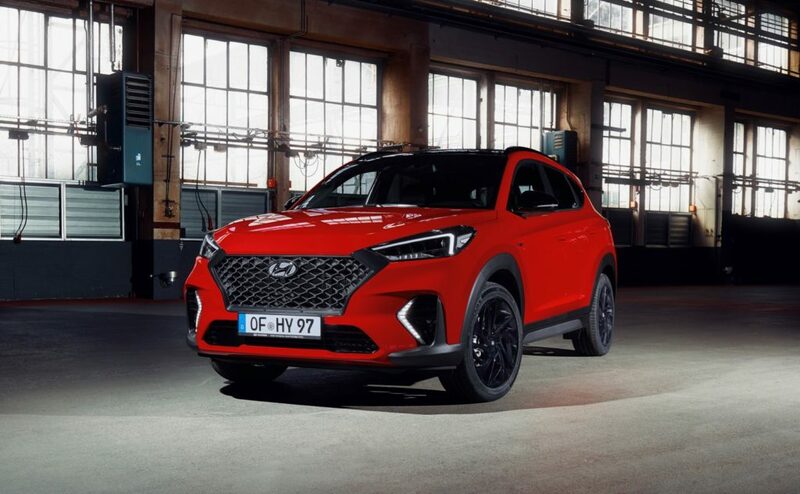 On the outside, the Tucson N Line gets redesigned bumpers and a dark mesh-pattern grille with a dark chrome finish, dark 19” alloy wheels, black mirrors and a black rear spoiler. 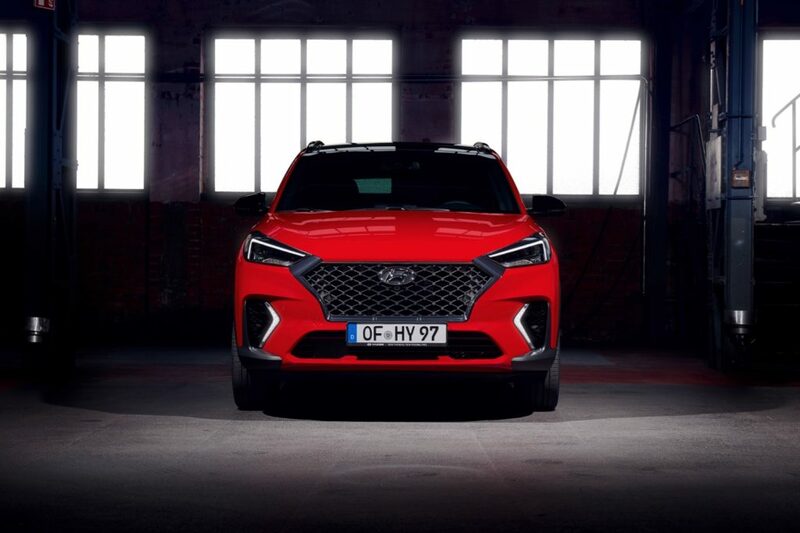 Black-bezel headlamps, unique daytime running lights and LED design and darkened window frames have also been added. 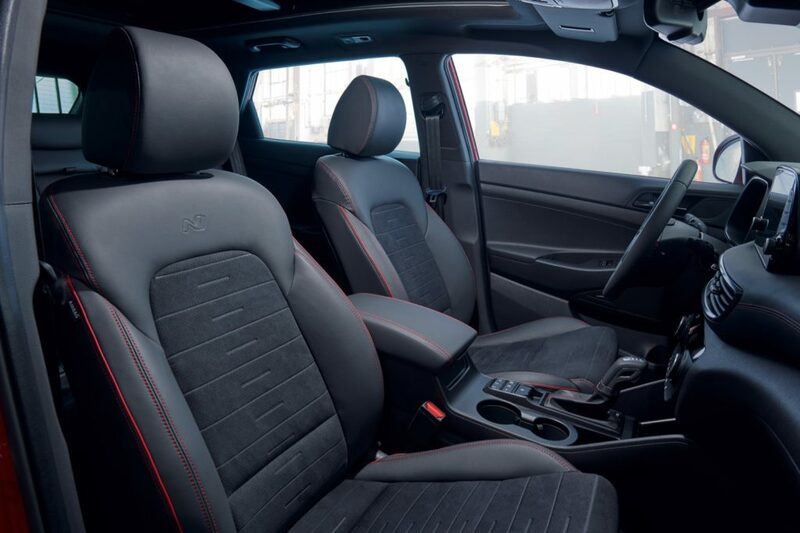 Inside there are N-branded leather-suede sport seats and red accent stitching on the steering wheel and seats. 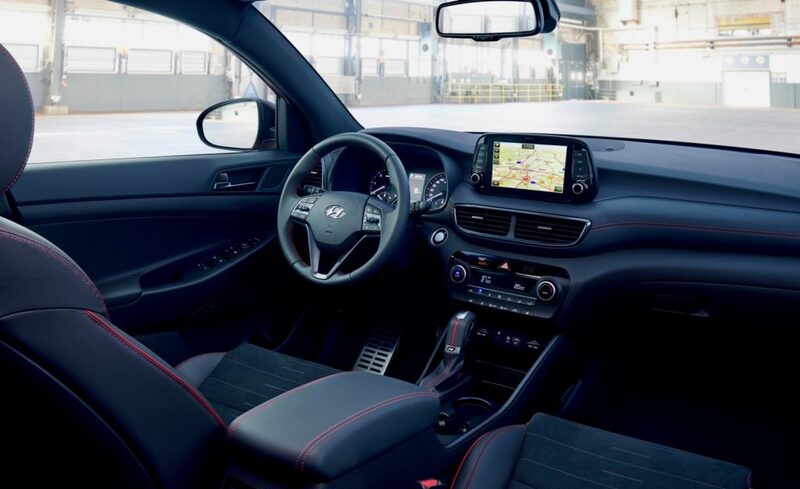 The Tucson N Line also gets alloy pedals and a leather-wrapped, red-accented N gear shift lever. 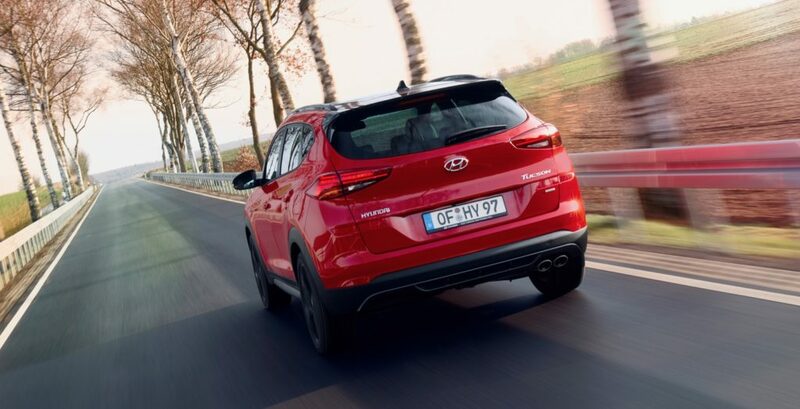 In Europe the Tucson N Line is available with 1.6L gasoline engine or two mild hybrid diesel engines (a 1.6L or 2.0L). 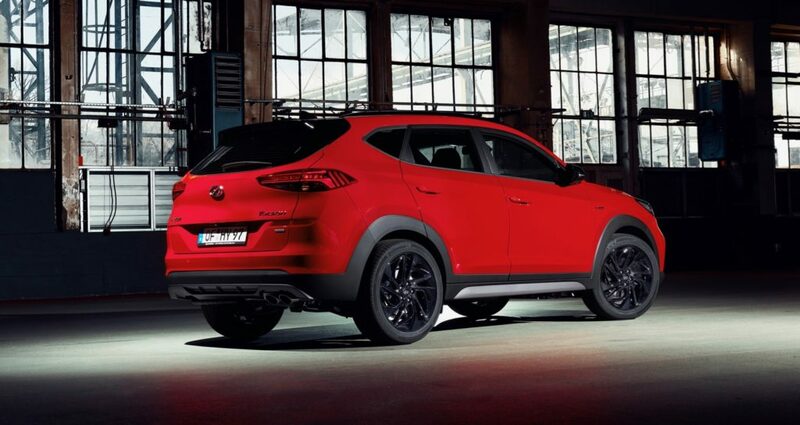 The 1.6L four-cylinder generates 174-hp, the 1.6L diesel generates 134-hp and the 2.0L packs 182-hp. 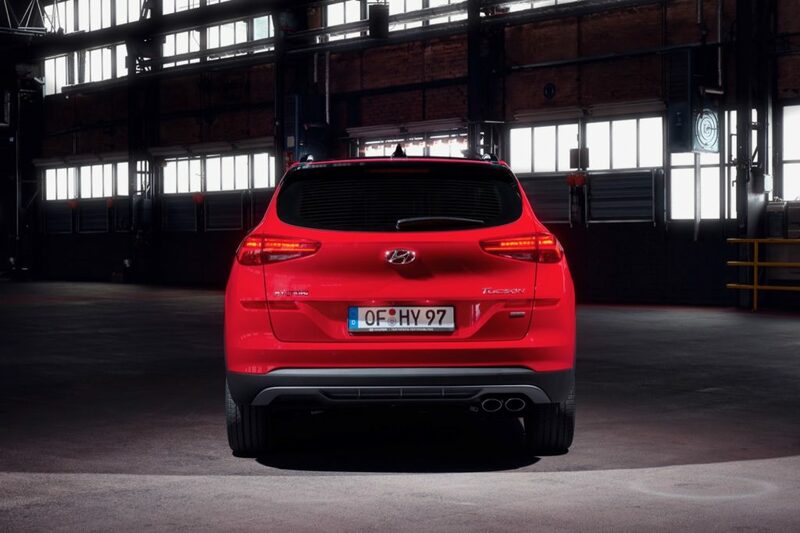 If you want more power, it’s rumored that a Tucson N is coming with around 340-hp.